Calixto Oviedo is a living encyclopedia of Cuban drumming and percussion, from the profound roots of African-influenced folklore to the hottest dance music and the cutting edge of jazz. 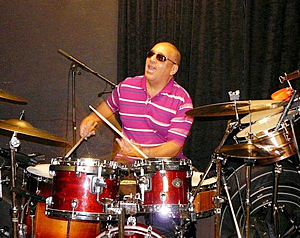 One of the creators of the dynamic timba rhythm when he was the drummer for the iconic Havana group NG la Banda, Oviedo's innovative and brilliant percussive techniques have made him the in-demand drummer for The Afro Cuban All Stars, Buena Vista Social Club, and Arturo Sandoval. His current project, an all-Cuban jazz quintet, is named for his critically-acclaimed album, ”Calixto's Way”.